In December 2016, Beitar Jerusalem owner Eli Tabib announced that his team would walk off the pitch in the event of racist chanting. Most similar instances occur in Italy or Russia, regarding black players targeted on the field by bananas. Beitar is different. The only team in Israel to never field an Arab player, it enjoys a fraught relationship with La Familia, the right-wing, racist, and sometimes violent hooligans who support it. But glimmers of hope followed Tabib’s announcement. Later that month La Familia halted all racist chants. Sponsors began returning to the club. An Arab player expressed passing interest in joining Beitar. A police operation targeting La Familia had begun securing convictions. Despite the chaos, Beitar finished third in the league, qualifying for European football. Reporting on these developments in 2017, I concluded with guarded optimism. Things were not great, but they had been far worse in recent memory. Like any of a number of peace processes born and stalled, I should have known better. Turmoil always surrounds Beitar Jerusalem. The issue at hand isn’t the team’s form. After Matchday 27, Beitar is 18-5-4, a single point out of first place. It’s won 11 of its last 15 matches. The picture is quite different off the field. Tabib is at the center. 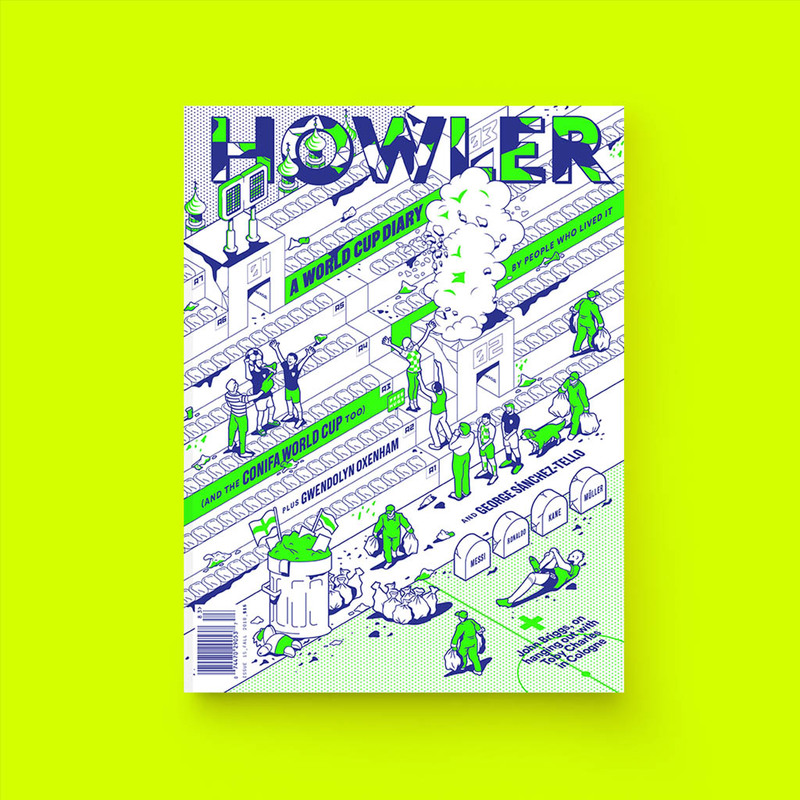 Football is rife with owners whose personalities dominate news headlines, like Newcastle United’s Mike Ashley, or Olympique Lyonnais’ Jean-Michel Aulas, or Beitar’s previous owner, Arkadi Gaydamak. Tabib’s brand of dominant personality is unique though. It’s uncommon for owners to be targeted by assassins. It’s equally rare to assault a teenager protesting outside one’s home and then destroy the evidence, as Tabib did in 2015 while owner of Hapoel Tel Aviv. For the Israel Football Association, Tabib’s assault conviction was the last straw. They banned him from participating in day-to-day team affairs beyond serving as a checkbook for two seasons, starting with 2017-8. He appointed Eli Ohana to make decisions in his place. 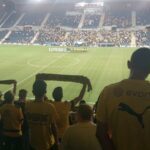 The move consciously tapped into Ohana’s status among Beitar fans. The striker spent 15 years with the club, making 275 competitive appearances, scoring 142 goals, and winning four championships. Despite the fresh start, Beitar’s atmosphere remained toxic. Four days before the 2017-18 season started, Ohana fired manager Sharon Mimer, whose rapport with Tabib had deteriorated over disputes about players and tactics. His replacement, Eli Cohen, made it through one game and an interview saying he would not want a Muslim at Beitar before being fired (in a previous stint managing Beitar in 2015, he’d said the exact same thing). Two matches with a caretaker followed. Ohana then hired his fourth manager of the season, 35-year-old Benny Ben-Zaken. He came with two years and three clubs of experience in the second tier. Not exactly a purebred pedigree. La Familia despised the guy from day one, despite the positive results Beitar accrued. One issue was Ben-Zaken’s perceived position as a pawn simply executing Tabib’s tactical wishes. Nicknames like “puppet on a string” followed him. There was more than speculation to the charge. 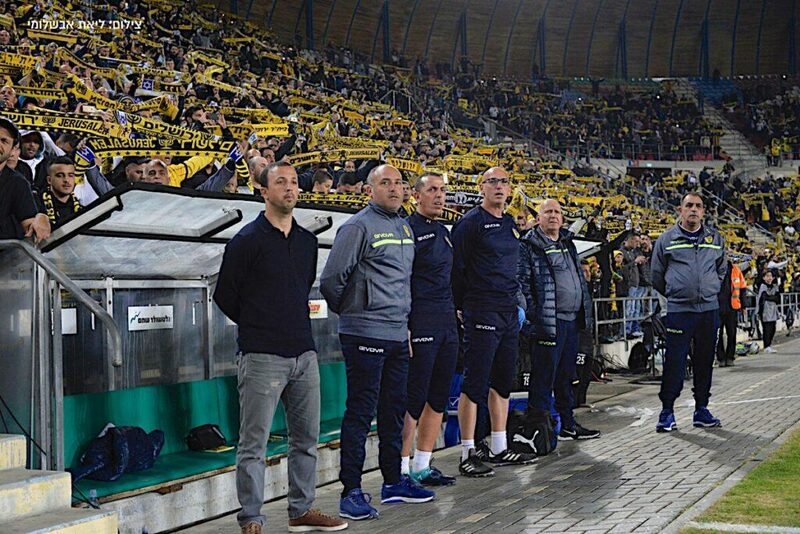 In January 2018, Beitar representatives specifically had to deny that Tabib was passing tactical instructions to his manager during a disappointing draw, despite videotaped footage appearing to prove as much. But the most unforgivable thing was Ben-Zaken’s treatment of Yossi Benayoun, two years his senior. Signed in the summer, the Israeli star only started twice and made a further 11 substitute appearances. La Familia chanted against Ben-Zaken whenever Benayoun didn’t start and other substitutes entered instead of him. But Tabib upped the rhetoric in an interview in mid-January as it became clear Benayoun would leave. Tabib belittled Benayoun for “wanting the car first and then the minutes,” attacked the media for ignoring Beitar’s results, condemned La Familia, and called on senior government and soccer officials to stop “turning a blind eye” to racism and fan violence. It was a doozy. It also came four days before Beitar’s home match against its Arab rivals Bnei Sakhnin. Things spiraled further the next week. Benayoun officially left on January 28. La Familia members greeted him, in tears, as he signed his release papers. Simultaneously the club announced that Ohana might leave in the summer. Two days later, the same day Tabib announced a one-game closure of La Familia’s section at Teddy because of previous racist chants, La Familia declared a new phase in its conflict with Beitar management. Its leadership announced a general protest against Tabib. Their Facebook post castigated his “countless acts of disgrace, humiliation, corruption of the Beitar spirit, and abject actions taken to harm Beitar.” It was their self-appointed duty “to protect the team from Tabib.” They threatened a class-action suit should he continue closing their stand. Two days later, about 100 La Familia guys stood on a hillside overlooking Beitar’s practice session holding signs, chanting, and obliquely lobbing curses at Tabib and directly at Ben-Zaken running practice below. After a brief glimmer of hope, Beitar appears to once again be mired in conflict between La Familia and whoever’s in charge. Eighteen months after I went to Israel to report on the club and its Ultras, I can’t help but find similarities between the accusations lobbed at Tabib and Arkadi Gaydamak. Like Gaydamak before him, La Familia maintains Tabib has starved the team of resources for financial gain, insulted Beitar’s most loyal fans, and given zero shits about what it means to be Beitar. La Familia certainly has cause to question both men’s motives. Both are convicted criminals with shady connections, whose bottom lines impacted team performance. Gaydamak once thought that running Beitar would pole vault him to becoming mayor of Jerusalem. But the current dispute is emblematic of a structural impasse that shows no sign of being resolved. As long as La Familia believes itself to be Beitar’s most loyal defender, it can justify all manner of destabilizing actions. With self-proclaimed just cause to intervene any time an owner strays, what else will there be but conflict? Follow Sam on Twitter @ScubaSamisalive.